- Control flash pattern with momentary and on/off switches in one controller. - Mount in your dash or console as needed. - Rely on the continuous power of 10A operation. 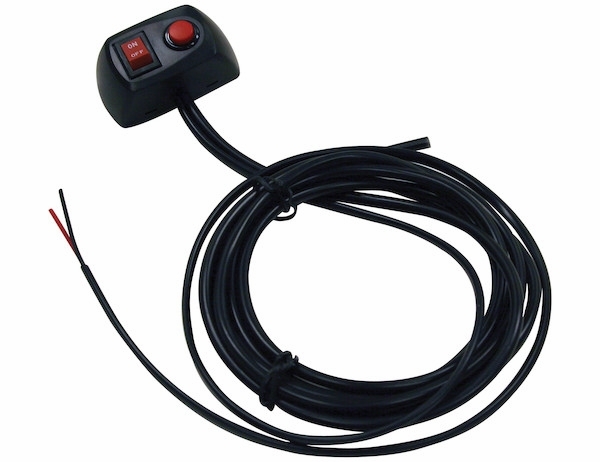 With its simple ON-OFF control, the Pre-Wired Switch with Momentary Button from Buyers Products features a built-in momentary switch ready to operate a strobe with a flash pattern effect. It comes with a 15 ft pre-wired cable, runs up to 10A, and can be mounted in either the dash or console of your truck.